With news of Finland entering its third technical recession, the average person reading the newspapers hasn't got much to celebrate about. Job are slashed and looming lay off negotiations compound the future outlook even further. Intellectual introspection attributes it to a variety of factors like Apple vs. Nokia, the paper industry failing, immigration – the list goes on. In short, reading the daily news isn't a positive experience. I think the media could do better than focus only on the negative. 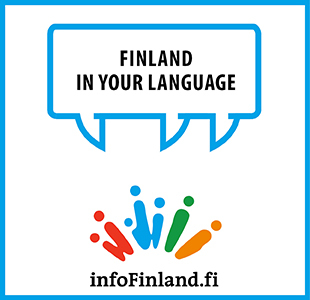 I understand that transparent reporting is one of the assets of media houses in Finland. Nonetheless, negative news pouring in from all sides and the media's love affair with it leaves the average person nervous about the future. I am not suggesting that the truth be hidden, but that the media could probably highlight successes like the gaming industry and the optimism created by the start-up culture. Perhaps it's a time when all of us who are part of this society need to come together and remind ourselves about all the wonderful things this country possesses. To begin with it's a society based on a strong foundation of egalitarianism. It is probably a wonder in itself that such a society could be built while many countries of the world can only dream of putting such a structure in place. The country's highly educated workforce, a world renowned education system and the government's thrust on promoting entrepreneurship are some of the reasons to rejoice. These are, however, just a few wonders of Finland, I am sure my list could go on. There is also a huge amount of finger pointing about the cause of recession and foreigners often feature in these discussions. Sometimes they are seen as the cause compounding the situation and sometimes they themselves choose to criticise this country by pointing to the difficult language. While these discussions can go on endlessly, it's definitely not the time for finger pointing but for united action towards improving the situation. As a person with foreign origin, I think one of the advantages we could bring to this society is a comparative perspective, as many of us come from societies where it all doesn't function so smoothly and fairly. We could lend our 'possibilitarian' attitude to our Finnish comrades and in turn learn the art of perfection from them. Lastly I think it's very important for all of us to practice a little bit of that art of faking. This essentially means that we need to try and ignore the bad news and make believe that there is a way out from this recession, until we actually see it happening. Finns are known for saying things exactly as they are but I think a little faking will not hurt here and will probably shift our energy to "can do" rather than "why do". In nutshell Finland's sisu (determination) is at test yet again and we all have to take the test collectively and pass it with flying colours.